The University of Southampton has been awarded funding worth £10 million from the UK Research Partnership Investment Fund (UKRPIF) to boost the further development of its world-class facilities for engineering sciences focused at the University's Boldrewood Campus. The announcement, made by Universities and Science Minister David Willetts, reaffirms Southampton’s position as one of the world’s leading centres of excellence for engineering. The UKRPIF supports higher education research facilities, to attract investment in university research and to strengthen the contribution of the research base to economic growth. Southampton joins King’s College London and the University of Glasgow in receiving funding awards during this round of investment through the Fund. "With funding from the Research Partnership Investment Fund, this excellent project at the University of Southampton will not only deliver new knowledge and applications for industry, but will accelerate growth and foster innovation between the research base and business, keeping the UK ahead in the global race." The redevelopment of the University’s Boldrewood Campus, in partnership with Lloyd’s Register, is already benefitting from an investment of around £130 million, currently representing the largest such business-focused endeavour in any UK university. This latest funding will create experimentation facilities in engineering science at the Campus in fluids, structures, materials and geotechnics, underpinned and complemented by computational and data handling facilities. 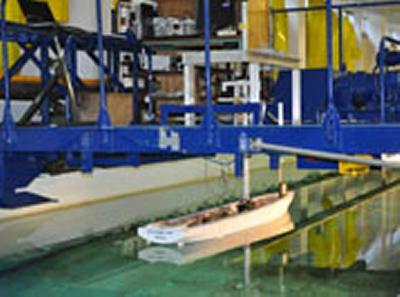 The research will be focused on the maritime and marine sector through the University’s world-renowned Southampton Marine and Maritime Institute (SMMI) as well as aerospace, rail, and structural engineering. The SMMI is the largest single entity of its kind in the world which integrates all marine and maritime disciplines across the University. Specialists in ship design and naval architecture, fluid dynamics and acoustics, oceanography through to arts, humanities and social sciences all work together through the Institute to better understand current and future maritime challenges. The creation of the SMMI was stimulated by the University’s ever strengthening relationship with Lloyd’s Register over the last 40-plus years. It now numbers approximately 300 academics working together with society, industry and government.